Trick Or Treat 2014 Winners! We have picked 4 out of 10 winners for this year’s Trick or Treat! 6 more will be picked later. This post will be updated when more winners are added. It’s not too late to join this contest! Simply send your SocioTown apartment address (for those who do not have an apartment, you can pick the park as your location) to my email address at dawn @ sociotown (dot) com (please remove the spaces and put a dot). Winners will be visited on Halloween night, between 6:00 - 7:00 PM Socio time. You will be asked to choose trick or treat. Your surprise prize will depend on your answer. 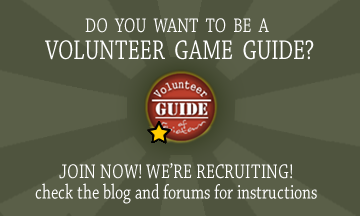 Game Guide Recruitment for August 2014! How’s your Friday so far? Well, cozy up and get ready cause we have a couple of surprises for you this August! First up, SocioTown will finally have its summer recruitment. For those aspiring game guides out there, listen up! From August 1 to August 8, you can send your applications for Junior Volunteer Game Guide positions. After that, your application won’t be accepted anymore, so make sure you send it before the deadline. It will take one week to check applications who have passed and results will be posted on August 15. Make sure you have a forum account to join. The rest of the application will be at SocioTown’s official forum as usual. If your forum account needs to be approved, please comment here or send me an email/private message/pigeon mail in the game (whichever is convenient or of your preference). There is now a thread in the forums for the applications. 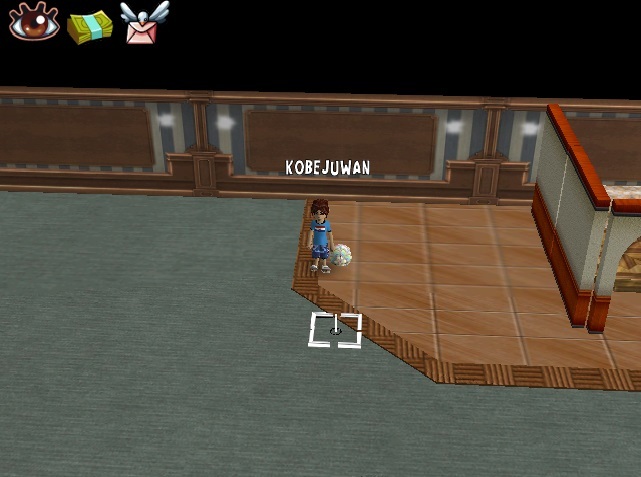 Go to the forums, click SocioTown General Discussion and click the first thread titled Now Accepting Junior Game Guide Applications - August 2014. Good luck! Here are our winners for SocioTown’s Easter Egg Hunt this year. Congratulations! You’ll each receive SoBucks and an umbrella. 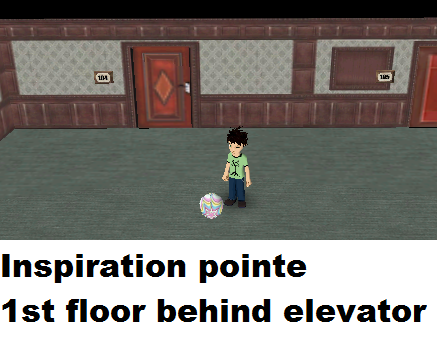 Michael22 and the egg at Inspiration Pointe. 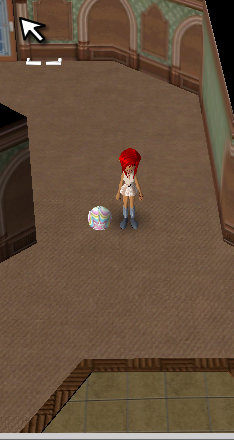 Unfortunately, the last egg was left hidden. Maybe next year, all seven eggs will be found. See you then, everyone! Wanna hunt some Easter eggs? Search around town this Sunday starting at 10 AM and you might just win a prize! Here’s how you can join. Search around town. 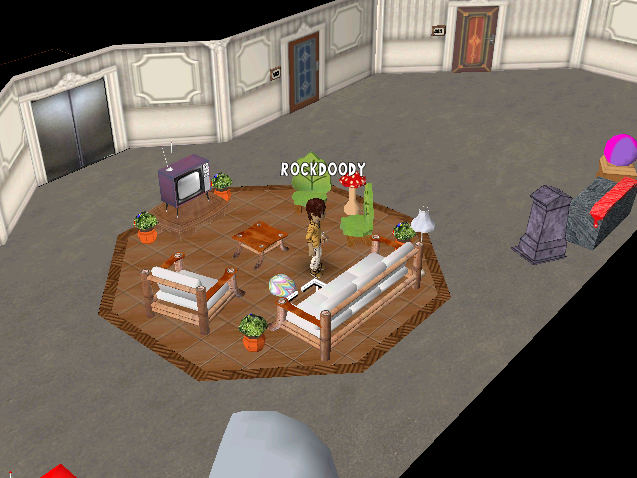 The eggs may be placed inside apartments or stores. Only one winner will be picked for each egg, so send your screenshots to my email right way. You can only win once, too. Winners will receive SoBucks and an umbrella! Remember this contest? Well, we haven’t forgotten it! We’ve been counting all the likes that the SocioTown Facebook page have gathered ever since this contest started. And from May 27th until now, we’ve garnered more than 200+ new likes! Woohoo! You know what that means? Two scooters will be given away this Christmas season. Wooowee, what an early Christmas present for the two lucky winners! We will be updating this page for the Facebook names of the winners. We will give them a week to reply to this announcement with their SocioTown names so we can send them their prize. If one full week passes after the announcement, and they have not replied, then we will be forced to pick a new winner. Ooh, who will it be? Who will win? I’m as excited as you, but we’ll still be picking the winners. Please check the blog post later today for the names. The spirit of gift-giving is already in the air in SocioTown! UPDATE: Here are the winners. Congratulations to Rhos Auguste and Vaibhav Tiwari! Instead of replying to this blog post, please send us a message at SocioTown’s Facebook page. Tell us your Socio name, so we can send your scooters immediately. You only have one week to claim your prize, so contact us at once. Congratulations again and enjoy your new scooters! To everyone, thanks for liking SocioTown’s Facebook page. More giveaways will happen in the future, so visit the blog and page for updates. Have a wonderful SocioTown day! Are you excited for Halloween? 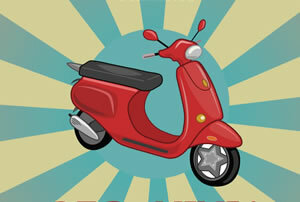 SocioTown has come up with not only one, but four contests for the holiday! Check it out below to know more about it. Ready your ideas and pumpkins for this year’s Halloween celebration!